Here in New Jersey, it seems we will be dealing with snow for the rest of our lives. But I hear that it is actually the first week of spring so all the spring book releases are right around the corner! I'm linking up at the That Artsy Reader Girl for Top Ten Tuesday to discuss all of the books we can't wait to read this spring. 1) A few years ago, a debut novel about the relationship between Achilles and Patroclus was a huge hit. 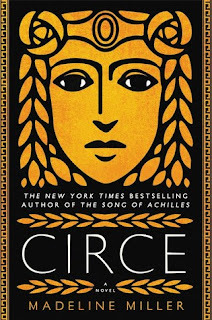 We've all been anxiously awaiting another book from Madeline Miller and her book Circe will finally be here in April! 2) Zombies are rising up from the battlefields of the Civil War. Are you ready for any awesome biracial warrior girl to save the day in Dread Nation by Justina Ireland? I am so ready. 3) New Meg Wolitzer! New Meg Wolitzer! The Female Persuasion is out in April. 4) Jonathan Miles is an author who rarely seems to be discussed in literary circles. 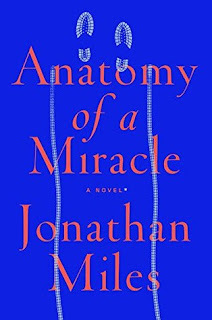 His newest novel, Anatomy of a Miracle is about a paraplegic who can suddenly walk--is this a miracle or something else? 5) Ramona Ausubel's debut novel No One Is Here Except All of Us completely ruined me. Then she followed it up with an incredible short story collection and a novel that made me care about rich people (I never care about rich people problems!). 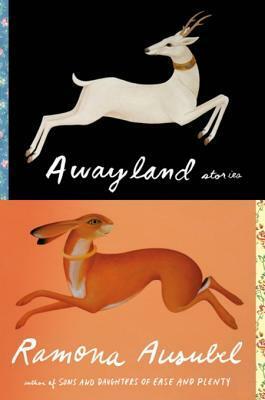 Now she has a new short story collection called Awayland and I'm ready for her to take all of my money! 6) Full disclosure: I'm reading the ARC of Only Human (Themis Files #3) right now and it's really good. If you haven't read any of the books in this series about giant robots and aliens by Sylvain Nuevel yet, get started now so you can read the last one when it comes out in May. 7) And Now We Have Everything by Meaghan O'Connell is the author's look at becoming a mother very early in her life before she really felt like an adult. 8) I found Ruth Hogan's novel The Keeper of Lost Things lovely and charming, so I'm excited to read her next book The Particular Wisdom of Sally Red Shoes. 9) Tom Rachman writes fantastic books (The Imperfectionists, The Rise and Fall of Great Powers) and I will follow him anywhere. In his latest book, The Italian Teacher, it's Rome in the 1950s and the triumphs and passions of artists and their families. 10) It's a great year for new books from authors I love. Jason Mott's The Crossing tells the story of twins who have to survive a world falling apart around them. I'm so curious about Circe! 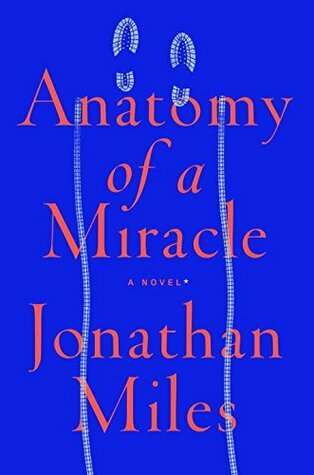 I just finished Anatomy of a Miracle and loved it! I'm looking forward to reading Circe as well - I didn't realise it was being released so soon! I'm excited about so many of these, too. I loved Circe and I thought Anatomy of a Miracle was incredibly thought provoking. 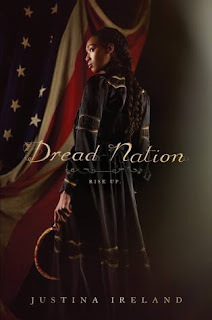 I'm looking forward to Dread Nation after hearing the author talk about it at a bookseller breakfast a few months ago. THANK YOU for the heads up about Circe! I adored Song of Achilles and didn't realize she had something new coming out! Like your list. Always nice to get updated on books you've not heard about.